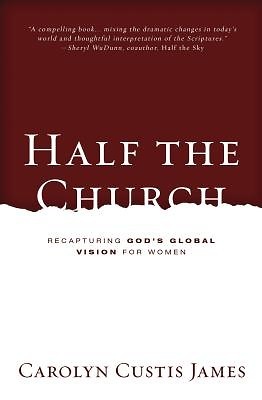 Women comprise at least half the world, and usually more than half the church, but so often Christian teaching to women either fails to move beyond a discussion of roles or assumes a particular economic situation or stage of life. This all but shuts women out from contributing to God s kingdom as they were designed to do. Furthermore, the plight of women in the Majority World demands a Christian response, a holistic embrace of all that God calls women and men to be in his world. The loudest voices speaking into women s lives in the twenty-first century thus far come from either fundamentalist Islam or radical feminism. And neither can be allowed to carry the day. The Bible contains the highest possible view of women and invests women s lives with cosmic significance regardless of their age, stage of life, social status, or culture. Carolyn Custis James unpacks three transformative themes the Bible presents to women that raise the bar for women and calls them to join their brothers in advancing God s gracious kingdom on earth. These new images of what can be in Christ free women to embrace the life God gives them, no matter what happens. Carolyn encourages readers with a positive, kingdom approach to the changes, challenges, and opportunities facing women throughout the world today.